Driving through a Montana blizzard, Maureen Edgerton collided with and killed several bison. 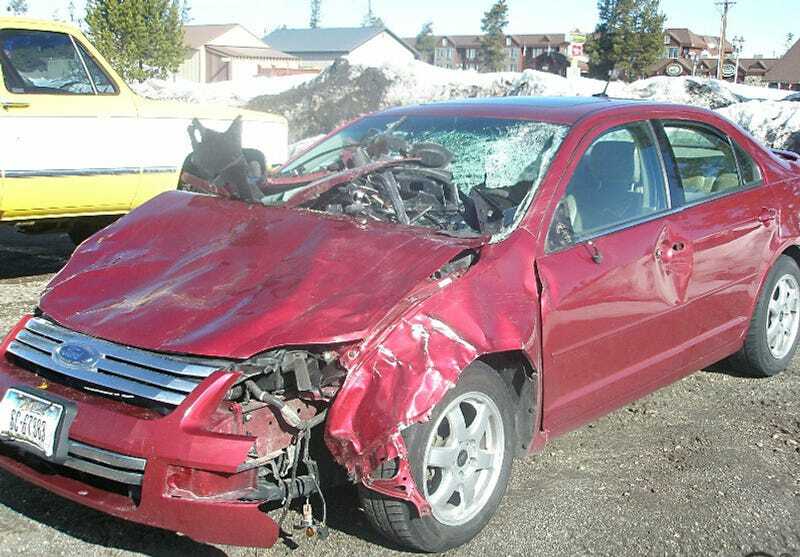 The life-saving Fusion was totaled, but Edgerton now had enough food to complete the hazardous journey. Her daughter later died of dysentery.